Strappy gladiator flats and ballet flats spotted at the Marais district's outdoor market. The fashion festival in Hyeres officially ended on Monday, and it’s been an intense and invigorating week of sightseeing, socializing and reporting! But before leaving Paris for Hyeres, followed by a side trip through Provence and Central France for some other adventures these past few days (more on all of that to come), I sent this e-postcard to the Chronicle, posted on today’s sfgate.com. Check out these extra street style photos of Parisians– south of their ankles– for a glimpse at spring footwear trends from fashion central. 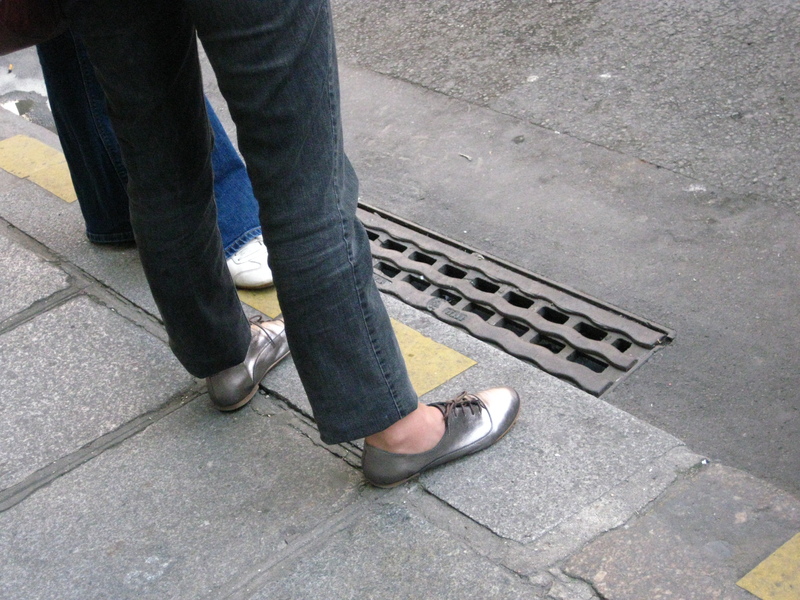 Gladiator heels with rolled up boyfriend jeans are a common pairing on the streets of Paris. Jazz shoes paired with skinny jeans ... huge here.